Traveling in the off-season often means that you do not have the ideal weather for your family travels, vacation or holiday. Generally you trade the ideal time for a more appealing price and less crowds, but in some parts of the world, that means you are going to hit less-than-ideal (and often rainy) weather! The Pacific Northwest is one of those places. 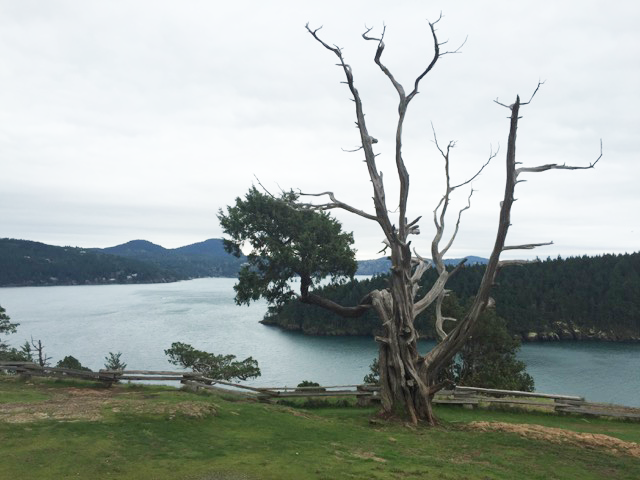 On our recent visit to Anacortes, Washington we did find ourselves out and about in some rainy weather. 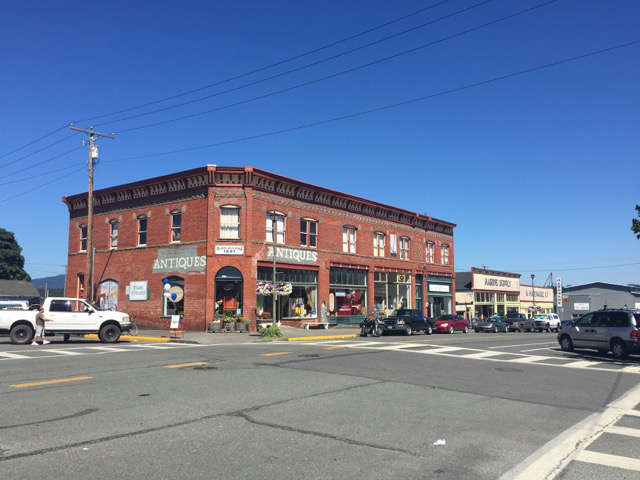 Anacortes is a quaint town on the I20 (about 20 minutes off the I5 in Western Washington) and physically lies on Fidalgo Island. Although a short bridge connects it to land, it features some unique geography and plants, such as the beautiful arbutus trees, which thrive on rocky terrain. It has cute character and offers beautiful ocean views from many vantage points, on the steep hills around the town. Anacortes is a port city, and its largest industry is oil refining. Its economy is also based on shipbuilding and tourism. Anacortes is situated in what is known as the Olympic Mountain Rain Shadow, and it only gets about half as much rain as Seattle, which is less than 50 miles to the south. You can get much more information from the Anacortes Chamber of Commerce here. 1. 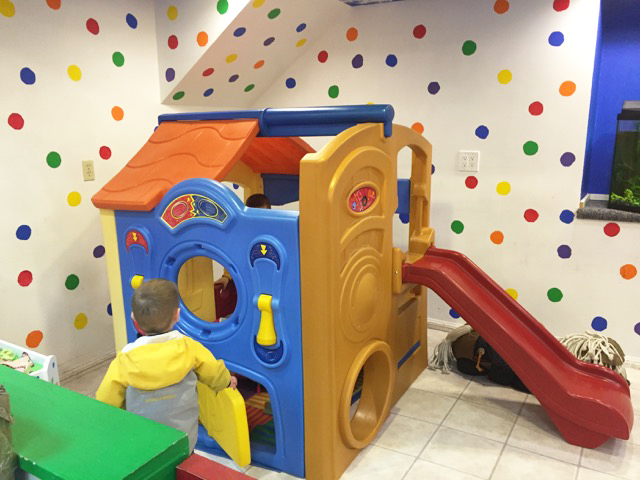 Drop into Toy Stories, the local, independent toy store, and check out their collection of toys and games. They also have amazing collection of books and also an assortment of infant clothing. 4. Enjoy one of the local eateries;… Commercial Avenue is full of them! 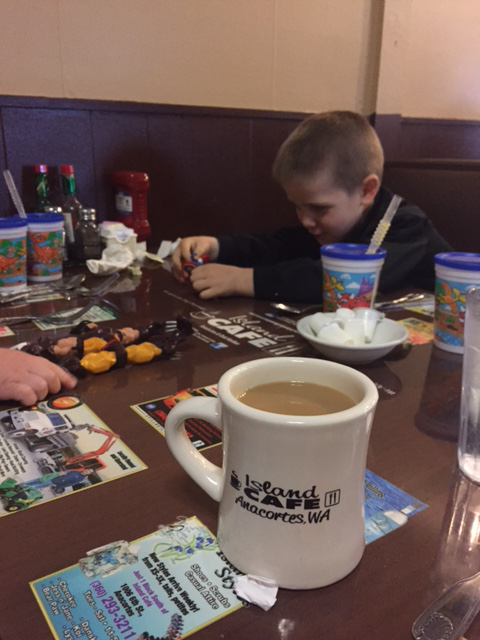 We found Dad”™s Diner a Go-Go and The Island CafÃ© to be great spots to grab a bite and were kid friendly! 8. Drive around Washington Park. Now ideally, you would want a nice sunny day to be able to see the beautiful ocean views. But driving through the dense forest in the rain is a whole different experience, without having to get wet! The one-way road winds up and down along the coast, and emerges on a beautiful lookout, raining or not! 9. Stop into Johnny Picasso”™s for a cup of coffee and the “paint-it-yourself” ceramics! A unique experience for sure! A covered area for Mom and Dad to keep dry! The Play Area at Tursi Park which also features a basketball court! Ready …. Set …. GO! 10. 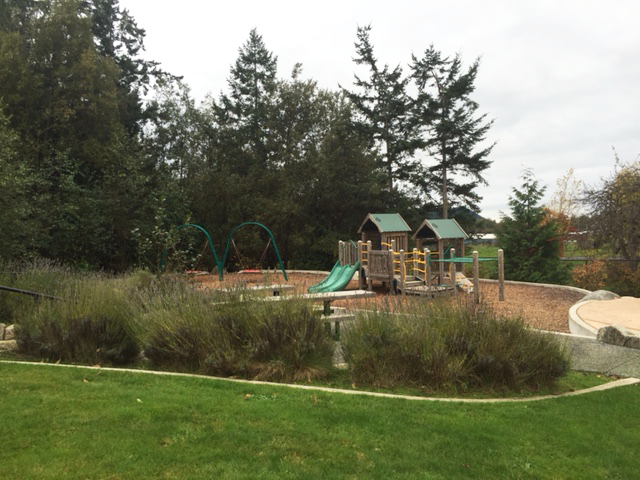 Put on a rain jacket and head over to one of the newer playgrounds in Anacortes: John and Doris Tursi Park. The Zip line is great for kids of all ages. The rest of the playground is best suited for about ages 6 and under but there is a great basketball court for older kids! 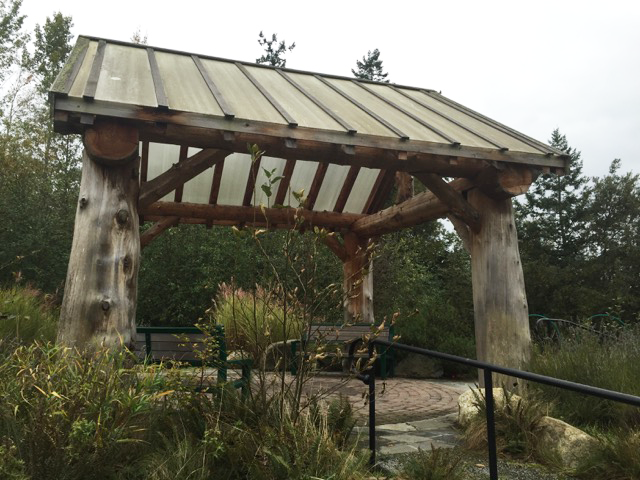 There is a nice covered gazebo for Mom & Dad to stay dry, while the kids burn off some energy! If you want a bigger playground, check out John Storvik playground (or the “pirate ship” park as my kids have named it). It is a must every time we visit! You can read why we love it here. 11. Grab an umbrella and explore the Tommy Thompson trail to look for wildlife and geocaches. 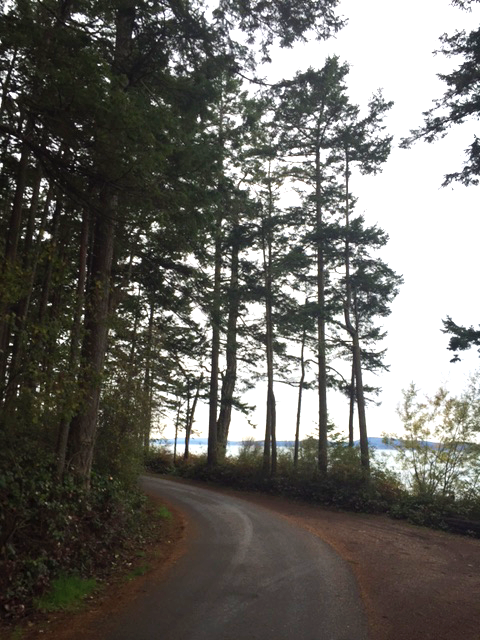 There are so many parks and outdoor areas to explore in Anacortes. check out some other ideas here. Don’t let the rain get you down! 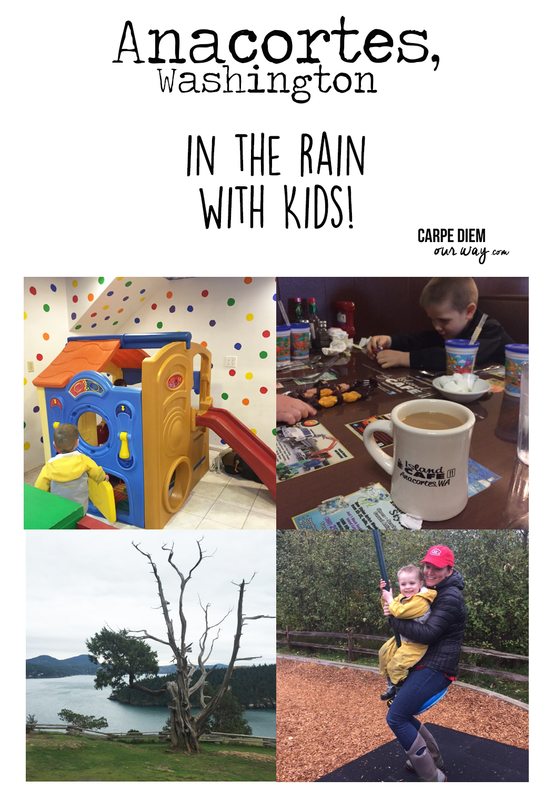 this list of What to do in the rain in Anacortes with kids should keep you busy all day! You can hover over this (or any image on my site) to quickly… pin it… ! Looks like a beautiful area! I love that you are sharing tips for crappy days because unless you are really lucky you inevitably end up with some bad weather days! These tips actually would mostly work well for any place! Good to remember that a library is a useful place, even for wifi use and you usually do not need to be a member or even have a library card! It’s a bit disappointing when you get a wet day on holiday, with the type of travel we enjoy we rarely have many indoor alternatives so it generally comes down to putting a jacket on, buying a cheap umbrella if necessary and trying to ignore the rain. It must be that much more difficult with children though. Lots of people would have let inclement weather spoil their fun. I love that you are modeling “go with the flow” with your kids. It will ensure they get the most out of the experiences they have. Great tips on enjoying your holiday despite the weather. All you need it a good raincoat. I have to admit that I’ve never heard of Anacortes. I’ve also haven’t visited Washington state yet but we’re planning on it. Will keep this cute town in mind when we make it. Great advice for families guys. I’m currently looking after my little high energy nephews in grey rainy London and coming up with rainy day activities and ideas to entertain them’s always a struggle. Anchorets looks like such a remote little town. I think I would get bored there even if it was sunny. But then you don’t have to feel bad, I love big cities. Great ideas to tough out a rainy day. I grew up in Oregon so I know exactly how you feel! Lol You never know when the rain could come. Thanks for the list of ideas! What a great way to look at things that disrupt travel and going around. 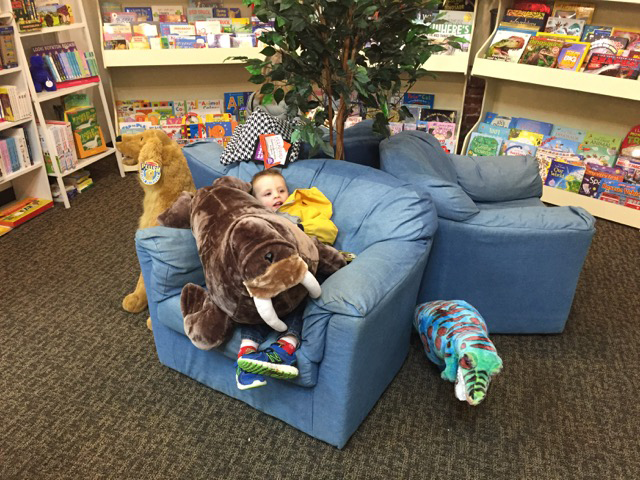 Love going tot the library! Oh, a zip line at a park! We had a favorite park in Australia that had one and I wish more U.S. parks had those. Love getting outside, even if it is a bit moist. 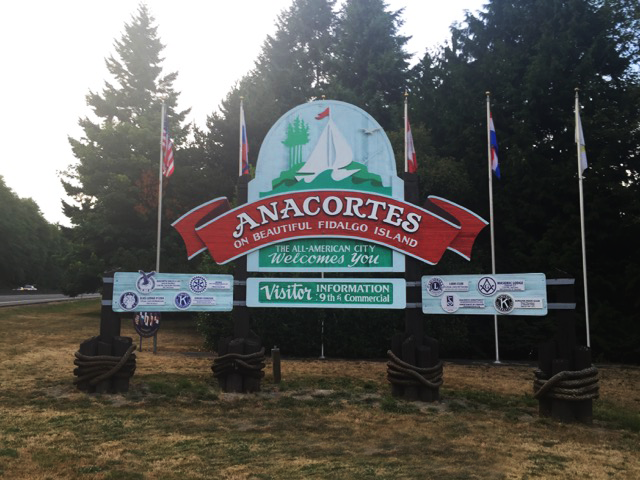 I had never heard of Anacortes before but I love the sound of it. These all sound like a fun way to spend the rainy day but I think, like you, we would probably head for the playground, I’m not sure my kids could resist the zip line! !